Ashbey’s Galleries c.c. carries on business as fine art auctioneers and appraisers. As auctioneers, Ashbey’s Galleries would usually act as agent of the seller of a lot or (in instances where Ashbey’s Galleries owns or has a financial interest in any lot) as principal. The contractual relationship of Ashbey’s Galleries with prospective buyers and sellers is governed by (i) the conditions set out below, (ii) any additional or special terms and conditions that Ashbey’s Galleries may impose (whether in the form of notices displayed at the premises at which any auction is conducted or announced by the auctioneer prior to or during any auction and whether in respect of any specific lot or in general), and (iii) such other terms and conditions as may be set out in any relevant catalogue (collectively the “general conditions of business”). 2.1.1 Any dispute of whatever nature about any bid or about the identity of the buyer shall be determined at the auctioneer’s absolute discretion. 2.1.2 Every bidder shall be deemed to act as principal unless, prior to the commencement of any auction, Ashbey’s Galleries provides a written acknowledgement that a particular bidder is acting on behalf of a third party. 2.1.3 All bidders wishing to make bids or offers in respect of any lot must complete a registration form prior to that lot being offered for sale, which registration form will include an acknowledgement by the bidder that he is acquainted with and bound by these general conditions of business. Bidders shall be personally liable for their bids and offers made during any auction and shall be jointly and severally liable with their principals if acting as an agent. 2.1.4 Bidders are advised to attend any auction at which a lot is to be sold by auction sale, but Ashbey’s Galleries will endeavor to execute absentee written bids and/or telephone bids, provided they are, in Ashbey’s Galleries absolute discretion, received in sufficient time and in legible form. When bids are placed by telephone before an auction they are accepted at the sender’s risk and must, if so requested by Ashbey’s Galleries, be confirmed in writing to Ashbey’s Galleries before commencement of the auction. Persons wishing to bid by telephone during the course of an auction must make proper arrangement with Ashbey’s Galleries in connection with such telephone bids at least 24 hours before the commencement of the auction. As telephone bids cannot be entirely free from risk of communication breakdown, Ashbey’s Galleries will not be responsible for losses arising from missed bids. Telephone bidding may be recorded and all bidders consent to such recording. 2.2.1 It is the responsibility of all prospective buyers to examine and satisfy themselves as to the condition of each lot prior to the auction, and that the lot matches any oral or written description provided by the seller and/or Ashbey’s Galleries. All illustrations of a lot in any catalogue are intended merely as guidance for bidders and do not provide definite information as to colours, patterns or damage to any lot. 2.2.2 Ashbey’s Galleries shall not be liable for any error, misstatement or omission in the description of a lot (whether in any catalogue or otherwise), unless Ashbey’s Galleries, its employees or agents, engaged in intentional misleading or deceptive conduct. 2.2.3 In bidding for any lot, all bidders confirm that they have not been induced to make any bid or offer by any representation of the seller of Ashbey’s Galleries. 2.3.1 If a lot sold to a buyer proves to be a forgery (which will only be the case if an expert appointed by Ashbey’s Galleries for such purpose confirms the same in writing), the buyer may (as his sole remedy hereunder or at law) return the lot to Ashbey’s Galleries within ten days of the date of the sale of that lot in the same condition in which it was as at the date of sale, together with a written statement by the buyer detailing the defects to the lot, the date of the sale and the number of the lot. Should Ashbey’s Galleries be satisfied in its absolute discretion that the lot is a forgery and that the buyer is capable of transferring good and marketable title to the lot to a third party purchaser thereof, free from any encumbrances and other third party claims, the sale of that lot shall be set aside and the hammer price of that lot shall be refunded to the buyer, provided that the buyer shall have no rights against Ashbey’s Galleries. 2.3.2.2 Gives any guarantee or warranty to bidder other than those expressly set out in these general conditions of business (if any) and any implied conditions, guarantees and warranties are excluded. 2.3.3 A purchased lot shall be at the buyer’s risk in all respects from the fall of the auctioneer’s hammer, whether or not payment has been made, and neither Ashbey’s Galleries nor the seller shall thereafter be liable for, and the buyer indemnifies Ashbey’s Galleries against, any loss or damage of any kind, including when caused by the negligence of Ashbey’s Galleries and/or its employees or agents. 2.3.4 All buyers are advised to arrange for their own insurance cover for purchased lots effective from the day after the date of sale for purposes of protecting their interests as Ashbey’s Galleries cannot warrant that the seller has insured its interests in the lot or that Ashbey’s Galleries insurance cover will extend to all risks. 2.3.5 Ashbey’s Galleries does not accept any responsibility for lots damaged by insect infection, changes in atmospheric conditions or other conditions outside its control, and shall not be liable for damage to glass or picture frames. 2.4.1 The auctioneer has the absolute discretion to withdraw or re-offer lots for sale, to accept and refuse bids and/or to re-open the bidding on any lots should he believe there may be a dispute of whatever nature or error of whatever nature, and my further take such other action as he in his absolute discretion deems necessary or appropriate. The auctioneer shall commence and advance the bidding or offers for any lot in such increments as he considers appropriate. 2.4.3 The contract between the buyer and the seller of any lot shall be deemed to be concluded on the striking of the auctioneer’s hammer at the hammer price finally accepted by the auctioneer (after determination of any dispute that may exist). Ashbey’s Galleries is not a party to the contract of sale and shall not be liable for any breach of that contract by either the seller or the buyer. 2.5.1 A buyer’s premium, calculated at the applicable current rate of the hammer price, shall be payable by the buyer to Ashbey’s Galleries in respect of the sale of each lot. The buyer acknowledges that Ashbey’s Galleries, when acting as agent for the seller of any lot, may also receive a seller’s commission and/or other fees for or in respect of that lot. 2.5.2 The buyer shall pay Ashbey’s Galleries the purchase price immediately after a lot is sold and shall provide Ashbey’s Galleries with details of his name and address and, if so requested, proof of identity and any other information that Ashbey’s Galleries may require. 2.5.3 Unless otherwise agreed in advance, the buyer shall make full payment of all amounts due by the buyer to Ashbey’s Galleries on the date of sale (or on such other date as Ashbey’s Galleries and the buyer may agree upon in writing) in cash, electronic funds transfer, credit card or such other payment method as Ashbey’s Galleries may be willing to accept. full purchase price in cleared funds. 2.5.5 The refusal of any approval, license, consent, permit or clearance as required by law shall not affect the buyer’s obligation to pay for the lot. 2.5.6 The buyer shall be an remain responsible for any removal, storage, or other charges for any lot and must at his own expense ensure that the lot purchased is removed immediately after the auction but not until payment of the total amount due to Ashbey’s Galleries. All risk of loss or damage to the purchased lot shall be borne by the buyer from the moment when the buyer’s bid is accepted by Ashbey’s Galleries in the manner referred to above. Neither Ashbey’s Galleries nor its servants or agents shall accordingly be responsible for any loss or damage of any kind, whether caused by negligence or otherwise, from date of the sale of the lot, whilst the lot is in their possession or control. 2.5.7 All packaging and handling of lots is at the buyer’s risk and expense, will have to be attended to by the buyer, and Ashbey’s Galleries shall not be liable for any acts or omissions of any packers or shippers. 2.5.8 If the sale of any lot is rescinded, set aside or cancelled by an action of the buyer, and Ashbey’s Galleries has accounted to the seller for the sale proceeds, the seller shall immediately refund the full sale proceeds to Ashbey’s Galleries, who will in turn refund the purchase price to the buyer. 2.6.9 To charge interest at a rate not exceeding the prime rate plus 3% per month on the total amount due to the extent that it remains unpaid after the date of the auction. any lot of which any of those objects form part as agent for one or more intending buyers. 3.1.2 Ashbey’s Galleries are authorized to retain any objects not sold on auction for a period of seven days after the auction for the possible sale of such objects by Ashbey’s Galleries by way of private treaty or otherwise pursuant to 3.1.3. 3.1.3 The seller further irrevocably authorizes Ashbey’s Galleries to offer for sale whether by private treaty or otherwise, any without any further instruction or notification to the seller, within seven days after the auction, all or any remaining objects submitted for sale by the seller and received and accepted by Ashbey’s Galleries in accordance with 3.1.1, which objects were not sold on auction, provided that the bid or offer accepted from that buyer is equal to or higher than the amount that the seller would have received had that lot been sold on auction at the reserve on that lot taking into account the deduction of the applicable seller’s commission and recoverable expenses for which the seller is liable. 3.1.4 Ashbey’s Galleries and the auctioneer each has the right, at his absolute discretion, to offer an object referred to above for sale under a lot, to refuse any bid or offer, to divide any lot, to combine two or more lots, to withdraw any lot from an auction, to determine the description of lots (whether in any catalogue or otherwise), to store accepted objects at the auction premises or any other location as he may deem fit and whether or not to seek the opinion of experts. 3.1.5 Ashbey’s Galleries shall not be under any obligation to disclose the name of the buyer to the seller. 3.2.1 Any estimated selling range provided by Ashbey’s Galleries to the seller is a mere statement of opinion and should not be relied upon as a true reflection of the hammer price which a lot may achieve at an auction. 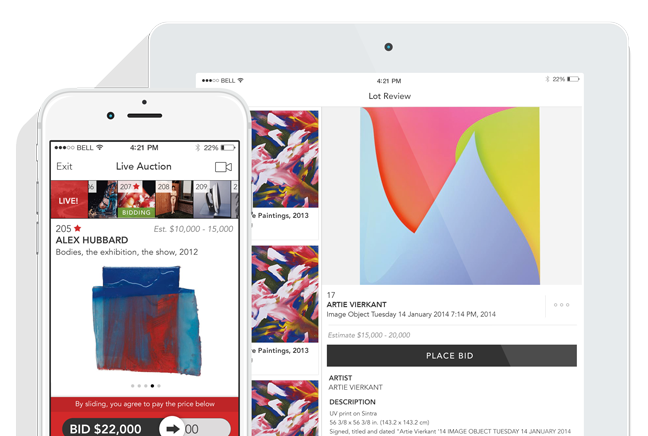 Ashbey’s Galleries reserves the right to revise the estimated selling range at any time. 3.2.2 The seller acknowledges that Ashbey’s Galleries is entitled to rely on the accuracy of the description of a lot as provided by or on behalf of the seller. 3.2.3 Ashbey’s Galleries shall not be liable for any error, misstatement or omission in the description of a lot (whether in any catalogue or otherwise), unless Ashbey’s Galleries, its employees or agents, engaged in intentional misleading or deceptive conduct. 3.3.1.5 To the extent that the seller required any approval, license, consent, permit or clearance by law to be in possession of any lot or for the sale of any lot, he is in possession of a valid approval, license, consent, permit and clearance. 3.3.2 Notwithstanding any other provision of these general conditions of business, none of the seller, Ashbey’s Galleries, its servants or agents is responsible for errors of description or for the authenticity of any lot, and no warranty whatever is given by Ashbey’s Galleries, its servants or agents, or any seller to any buyer in respect of any lot (save insofar as the seller is concerned as set out in 3.3.1), and all express or implied conditions or warranties are hereby excluded. 3.3.3 The seller of any object forming part of a lot not held by Ashbey’s Galleries at the auction premises warrants and undertakes to Ashbey’s Galleries and the buyer that the relevant object will be available and in a deliverable state on demand to the buyer. 3.3.4 The seller agrees to indemnify and keep indemnified Ashbey’s Galleries and the buyer against any loss or damage suffered by either in consequence of any breach of any warranty in there general conditions of business. Ashbey’s Galleries to deduct from the hammer price of any lot the seller’s commission and all such recoverable expenses for which the seller is liable. 3.4.2 Ashbey’s Galleries may deduct and retain the seller’s commission and the recoverable expenses for which the seller is liable from the amount paid by the buyer for the lot as soon as the purchase price, or part of it, is received and prior to the sale proceeds being paid to the seller. charge the seller an additional fee as the object may not be sold on auction as a result of the increased reserve. 3.5.2 Where a reserve has been placed on a lot, only the auctioneer may bid on behalf of the seller. 3.5.3 Where a reserve has been placed on a lot and the auctioneer is of the opinion that the seller or any person acting as agent of the seller may have bid on the lot, the auctioneer may knock down the lot to the seller without observing the reserve and the seller shall pay to Ashbey’s Galleries the buyer’s premium and all expense for which the buyer is liable in addition to the seller’s commission and all expenses for which the seller is liable. 3.5.4 Should no reserve have been placed on a lot, Ashbey’s Galleries shall not be liable if the purchase price of the lot is less than the estimate selling range. 3.6.1 Unless Ashbey’s Galleries and the seller have otherwise agreed in writing, Ashbey’s Galleries will insure all objects, with the exception of motor vehicles, consigned to it or put under its control for sale and may, at its discretion, insure property placed under its control for any other purpose for as long as such objects or property remain at Ashbey’s Galleries premises or in any other storage depot chosen by them. 3.6.2 If any payment is made to Ashbey’s Galleries under the said insurance, in the event of loss or damage to any object, Ashbey’s Galleries shall pay such amount to the seller after deduction of the seller’s commission and expenses incurred by them. 3.6.3.3 Notify any insurer of the existence of the indemnity contained herein. 3.7.1 Ashbey’s Galleries shall only be liable to remit the sale proceeds of a lot to the seller thereof on the later of thirty days after the date of the sale of that lot or seven days after the date on which the full purchase price for that lot has been received by Ashbey’s Galleries in cleared funds. 3.7.3 Should Ashbey’s Galleries pay an amount equal to the sale proceeds to the seller before having received full payment of the purchase price from the buyer, ownership of the lot shall pass to Ashbey’s Galleries. 3.8.1 A seller may only withdraw a lot from being offered for sale by written notification to Ashbey’s Galleries. 3.8.2 Upon receipt of proper notification of withdrawal as envisaged above, Ashbey’s Galleries reserves the right to charge the full seller’s commission and buyer’s premium to the seller as a withdrawal fee, both calculated on the latest middle estimate of the selling price of the property withdrawn, together with VAT and all expenses incurred in relation to the property. 3.8.3 If a lot is withdrawn, the seller shall arrange for the collection and removal of the lot at the seller’s expense within three days after date of the withdrawal, provided the seller has paid the recoverable expenses and applicable withdrawal fee to Ashbey’s Galleries. Ashbey’s Galleries shall have the full and absolute right to illustrate, photograph or otherwise reproduce images of any lot submitted by the seller for sale, whether or not in conjunction with the sale, and to use such photographs and illustrations at any time and in their sole and absolute discretion. The copyright of all photographs taken and illustrations made of any lot by Ashbey’s Galleries shall be the sole and absolute property of Ashbey’s Galleries and Ashbey’s Galleries undertake to abide by all copyright applicable to any and all lots submitted for sale. 3.10.1 Ashbey’s Galleries are authorized to retain any objects not sold on auction for a period of seven days after the auction and may proceed to sell any such unsold lot during this period, be it by way of private treaty or otherwise, without any further instruction or notification to the sell in terms of 3.1. 3.10.2 Where any lot remains unsold, Ashbey’s Galleries shall notify the seller accordingly and the seller shall collect the lot at the seller’s expense within seven days after the dispatch by Ashbey’s Galleries of a notice to the effect that the lot has not been sold. 3.10.3 In these circumstances, the seller must make arrangements either to re-offer the lot for sale or to collect and pay all recoverable expenses and other amounts for which the seller is liable. 3.10.4 Should the seller fail to collect the lot within seven days of notification, the seller shall in addition be responsible for all removal, storage and insurance expenses. 3.10.5 Should the seller fail to collect the lot within three months of date of the notification referred to above, Ashbey’s Galleries shall be authorized to sell the lot by private treaty or public auction, on such terms and conditions as they think fit, without reserve and to deduct from the hammer price all sums owing to Ashbey’s Galleries, including (without limitation) storage, removal, insurance expenses, the expenses of both auctions, reduced commission in respect of the auction as well as commission on the sale and all other reasonable expenses, prior to remitting the balance to the seller or, in the event he cannot be located, placing it into a bank account in the name of Ashbey’s Galleries for and on behalf of the seller. 3.10.6 Ashbey’s Galleries reserves the right to charge commission in accordance with the current rates on the bought in price and expenses in respect of any unsold lots. Ashbey’s Galleries cc suggests that buyers check with their own government regarding wildlife import requirements prior to placing a bid. It is the Buyer’s cole responsibility to identify and obtain any necessary export, import, endangered species or other permit for the lot.